Every business today needs to achieve Quality at Speed to stay competent and keep up with customer preferences. The DevOps approach requires teams to focus on quick and continuous development and delivery/deployment of business-critical cloud-based applications across diverse platforms. Achieving this requires seamless collaboration between development and operations teams. 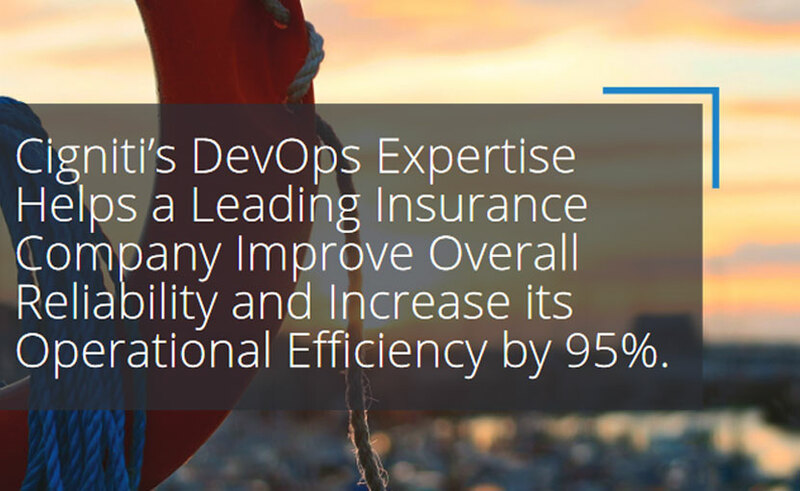 Implementing DevOps testing practices helps CxOs transform the organizational culture, brings about greater collaboration across teams, inculcates shift-left practices, creates an environment of growth for Software Development Engineer in Test (SDETs) – all of which are necessary to provide DevOps solutions. 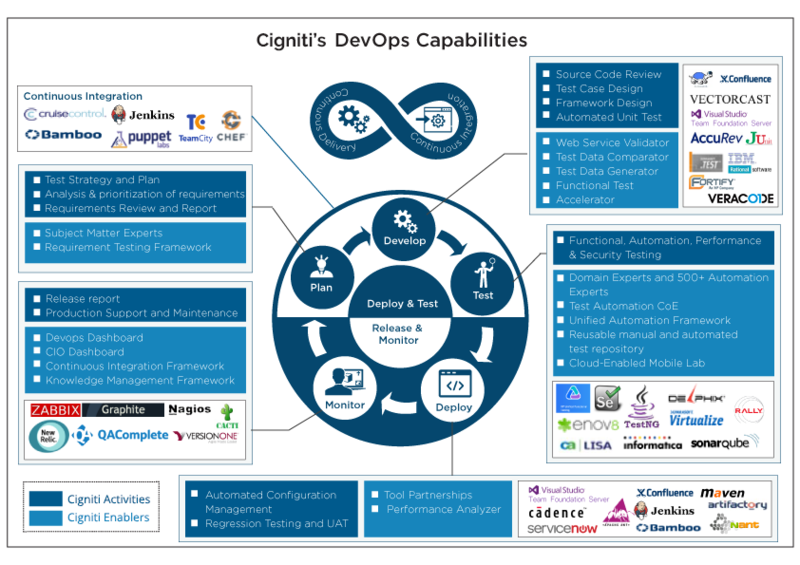 At Cigniti, we standardize efforts and ensure accelerated time to market with DevOps testing solutions. We also focus on delivering improved deployment quality with greater operational efficiency. 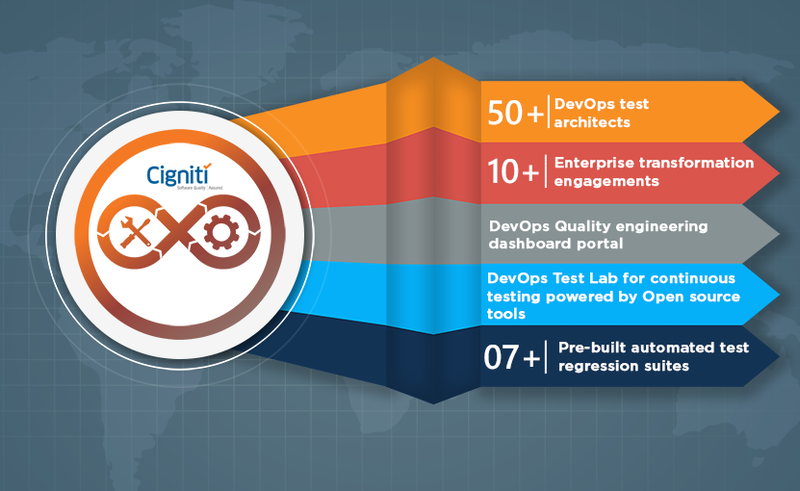 Cigniti’s DevOps testing specialists enable your application testing efforts with their rich experience in Continuous Integration (CI) testing and can configure and execute popular CI tools helping client’s DevOps teams. In this entire equation, SDETs play a crucial role. They help businesses to optimize resources and cultivate cross-functional development teams. 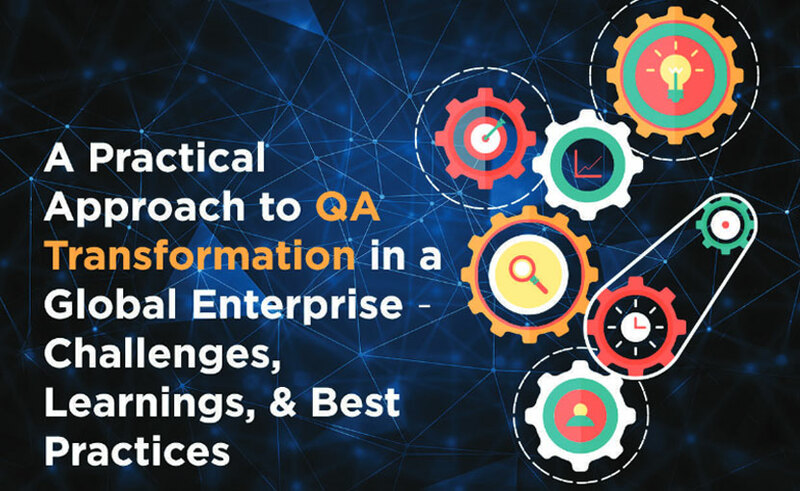 This enables businesses to facilitate the DevOps cycle within their application testing process. Cigniti is my premier partner for testing services. They have quickly put together a large team of qualified engineers and SDET’s while managing the entire testing lifecycle across multiple project streams. I’ve enjoyed the thought leadership, responsive solutions, and easy implementation across our portfolio of products. I highly recommend them for their managed test services and consultant roles.